Solar collectors - Stroj-energijska tehnika d.o.o. No need for antifreeze in wintertime! Our company Stroj - energijska tehnika d.o.o. 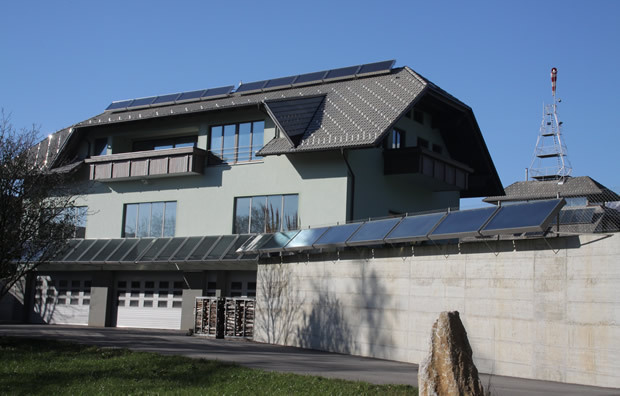 was among the first few Slovenian manufacturers of solar collectors. We are one of the few companies that can boast a 40-year tradition, its own technology and production. As early as 1981, we successfully passed the first tests. Over the years, we have been technologically upgrading our products, demonstrating the maturity of manufacturing technology. An important information about the quality and consistency of performance is that the integrated heating systems have been operating since the beginning of their production and assembly. 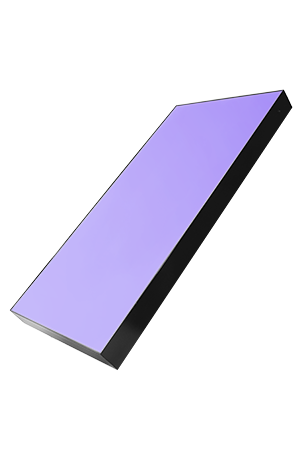 STROJ flat plate solar collector is technologically perfected; once installed into the heating system, it works consistently and automatically. There is no need to apply any antifreeze in wintertime. The water from the collectors automatically drains into a special expansive container up to 20 times per day, depending on weather conditions. Any drainage of hot water from solar collectors leads to greater energy efficiency. On the contrary, in other systems the heating medium stays in the collectors and cools to outside temperature; consequently, the efficiency decreases. 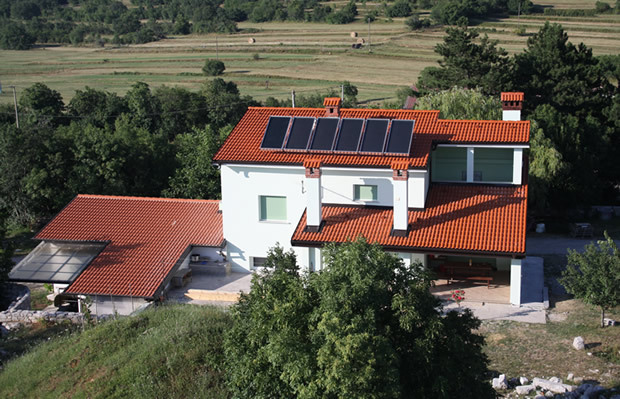 With their innovative design and high-quality production, Stroj solar collectors represent an excellent choice for year-round use of solar energy. if integrated into a combined heating system for domestic hot water and indoor spaces, the heating of sanitary water takes precedence over space heating, which is heated with the energy surplus. The design is based on mutual connection of two layers of stainless steel, which allow streaming of three litres of water in a thin layer: 1.5 mm over the entire surface. Enables a high degree of solar radiation absorption and effective heat transfer to the heat transfer medium. Double glazing represents better insulation and 11% higher efficiency than with solar panels with single glazing. Offers optimal limitation of convective heat loss. Offers optimal limitation of radiation heat loss. No need to apply antifreeze in winter time. Without the risk of overheating in summer or in case of power failure. small heat loss, increased yield. During our inspection of your facility, we will offer professional and technical advice regarding the installation and the best location. For three years our company Stroj - energijska tehnika d.o.o. has studied the difference between heating with Stroj flat panel collectors and SEC evacuated tubes. Measurements and comparisons have shown that Stroj collector achieved 35% higher yield compared to the evacuated tubes per gross surface collector area. In winter, at low temperatures, the evacuated tubes accumulate frost, which cannot melt, as the vacuum is an excellent insulator. Stroj solar collector thaws even at minimal solar radiation during winter, as the metal edge is warmed by the sun.